Best Medical Alert Systems Review 2019 — Which Medical Alert System Covers Your Needs? Can I Take a Sprint Phone to Verizon? How Does Cable Internet Work? How Does Fiber Internet Work? How Does DSL Internet Work? What are Home Automation Languages? How to Prevent False Alarms? How to Protect Your Sliding Door? Read our review comparing the best medical alert systems available and includes a comparison table, pros/cons, features, and pricing for each system. A 2012 survey of Americans aged over 60 showed that almost 90% of seniors intend to live in their current homes for the next five to ten years. Even those who currently have an illness to manage would prefer to live independently rather than move to a care home or other assisted living facility. While families want to respect the wishes of their senior relatives, medical emergencies due to illness or accident are very real possibilities. The CDC reports that unintentional falls were the leading cause of reported non-fatal injuries for seniors over 65 in 2014, closely followed by over-exertion and accidental poisonings. How do you support your family members as they continue to live in their own homes while also reducing your level of worry over their safety? Seniors can live independently with the assistance they need and families of seniors can find peace of mind by taking advantage of a medical alert system. Additional supports and services available? 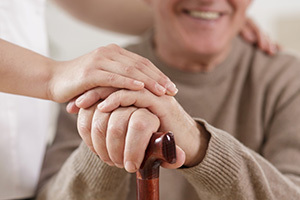 This provider is best for homebound seniors who do not go out much. It has a good range from the base station, allowing for coverage around most homes, and a basic 911 mobile button that does not require a mobile phone provider. LifeStation has been in operation since 1971 and earned an A+ rating from the Better Business Bureau. They are unique in their dual response approach—two trained operators answer the call. One stays on the line with while the other coordinates the appropriate emergency response. This makes all the difference between your family member being left worried and without support while the operator is coordinating a response and having someone gently talk through the emergency, answering questions and offering reassurance while someone else coordinates the response. 500-foot range covers most homes and allows for plenty of space to walk in the garden, etc. Automatic testing carried out by monitoring center every week ensures the battery is working and that there is a working connection between the base unit and the monitoring station. Additional mobile button connects you to 911 without the need for a cell phone. No carbon monoxide or smoke detectors available for the system. Service plans are limited. There is just a basic “out of the box” solution with no facility to change services or personalize them to your specific needs. Life Alert excels at providing additional services such as intruder detection and carbon monoxide detection as well as a GPS-equipped mobile unit that enables the provider to pinpoint the location of your family member if he or she has an emergency away from home. Life Alert was founded in the U.S. in 1987 and handles over 2 million calls a year. In addition to a basic medical alert system, they have multiple add-on options. When someone presses the button on the base unit or pendant, it connects to a help center, where a dispatcher will assess the call and send the appropriate type of help. This could be an ambulance, the police, the fire service, or a trusted friend or family member. Connects to a landline or mobile phone and has an app available. Backup battery lasts for 48 hours without charge. “Emergency home phone” option provides a cell phone-like unit that can be taken anywhere and is equipped with GPS in order to locate the person making an emergency call. High Customer satisfaction ratings with the Better Business Bureau. Pendant only has range of 150 feet from the base station. This may be suitable in a small living unit but will not cover larger homes or trips to the yard. Accurate pricing information can be difficult to obtain as none of it is available on their website. Long (3-year) minimum service contract, and some customers have complained it is difficult to cancel. Alert1 excels in providing multiple services that can be customized to meet your specific needs. Alert1 has over 200,000 customers in the U.S. and is recommended by over 10,000 medical doctors. It has a unique medication organizer option that allows you to set up a dispensing and dose reminder system. A push of the help button connects users to Alert1’s Command Center. The Command Center operator will give the option of either contacting a friend or family member or calling 911, giving seniors more control over each individual situation. 30-day risk-free trial ensures the system is appropriate for your needs. This provider excels in providing assistance in multiple languages, whether your family member speaks Spanish, Mandarin, or one of the other 170+ languages spoken by Bay Alarm Medical staff. Bay Alarm Medical began as a burglar alarm company and has been in operation for over 65 years. Their basic pendants and wrist units are waterproof, and the system is easy to use with a large array of add-ons, such as a lockbox for your key to allow emergency services quick access and a fridge magnet on which you can write important emergency information. Like Alert1 and Life Alert, Bay Alarm Medical has operators who respond to the help button. After speaking with the individual, the operator will either alert emergency services or contact a friend or family member to help. The operators also check past preferences for each individual in determining the appropriate level of response. Bay Alarm Medical has an A+ rating from the Better Business Bureau, but according to the BBB there has been a growing number of unresolved customer service complaints since 2013, mostly revolving around refunds and equipment returns. Easy to install—just plug it in and go. No installers have to visit the home, and there is telephone support available if you have any problems. No autodetect fall system is available with Bay Alarm. Cellular service relies on AT&T and is dependant on their coverage, so if you are in a part of the country with poor coverage, you are best off with the landline option. Outsourced emergency operators may have a reduced level of training, which may contribute to the increase in complaints since the change in operations. What should I look for in a medical alert system? The base station can be contacted from every point on the property. You need to have a range that allows the pendant or wrist button to connect to the base station from all areas in the home. There are wall-mounted help buttons that can can be placed near the bath or shower for when the user isn’t wearing the personal button or near the floor in case of a fall without the personal button. It has options to suit any disability the user may have. For example, users with muscle weakness might need a very easily pressed button. The monitoring company has staff who speak your language and the user’s native language. The company offers a variety of options such as pendants, wristbands, or watch-like personal alarm buttons. It has the option of listing multiple personal contacts in the case of an emergency so the closest available person can come to your loved one’s aid. GPS tracking is available with systems that include roaming devices. We looked at companies with 24/7 live emergency help services available across the U.S. to determine the best medical alert systems. Of those companies, we chose LifeStation as the number one because of its variety of services at an affordable price with no cancellation fees. Life Alert has a wide range of excellent add-on services such as carbon monoxide sensors and intruder detection, and it missed out on the number one spot only because it requires a three-year contract and has high cancellation fees. Alert1 was a very close third with its availability in multiple languages but was let down by the short battery life in the event of a power cut. Finally, in fourth place, is Bay Alarm Medical. With a 1000-foot reach from the base station, this was by far the best range, but the recent outsourcing of their customer care and subsequent rise in customer complaints combined with their reliance on AT&T for their cellular coverage made this our last choice. With so many medical alert systems available, it is easier than ever to have peace of mind while supporting your family member’s desire to remain living independently in his or her own home. If you have loved ones who are approaching this point in life, take the time now to explore your options and rest easy as they enjoy their independence for years to come. Disclaimer: The information featured in this article is based on our best estimates of pricing, package details, contract stipulations, and service available at the time of writing. This is not a guarantee. All information is subject to change. Pricing will vary based on various factors, including, but not limited to, the customer’s location, package chosen, added features and equipment, the purchaser’s credit score, etc. For the most accurate information, please ask your customer service representative. Clarify all fees and contract details before signing a contract or finalizing your purchase. Each individual's unique needs should be considered when deciding on chosen products. All Content © 2019 Reviews.org. All Rights Reserved.